Are you a high school senior wondering how to college? Become a pro in 7 easy steps! 2) Never do your reading. 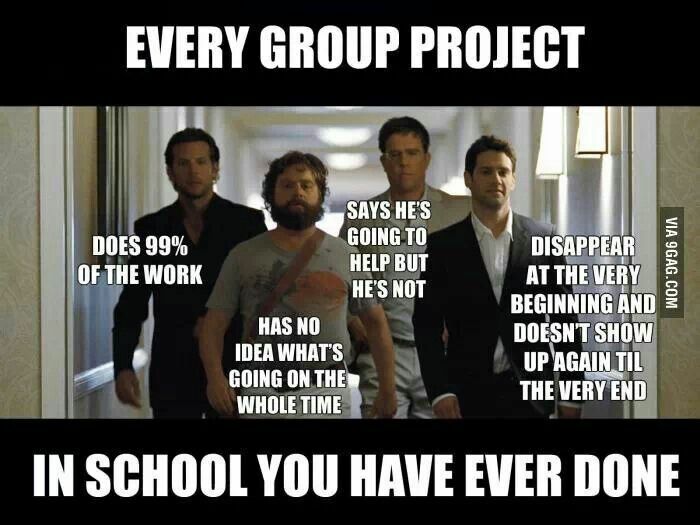 3) Dread every group project ever assigned…ever. 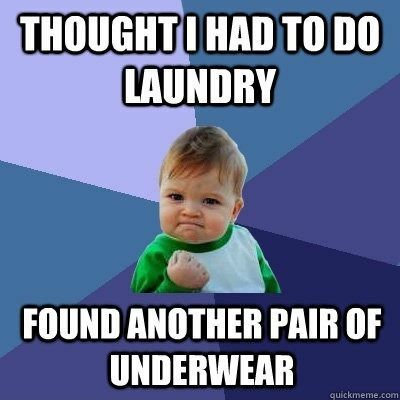 4) Avoid laundry at all costs. 5) Only eat foods that are 1) cheap 2) unhealthy 3) easily prepared in your dorm. 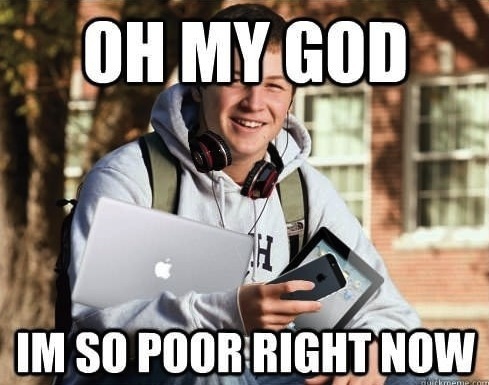 6) Complain often about being broke despite your parents paying all your bills. 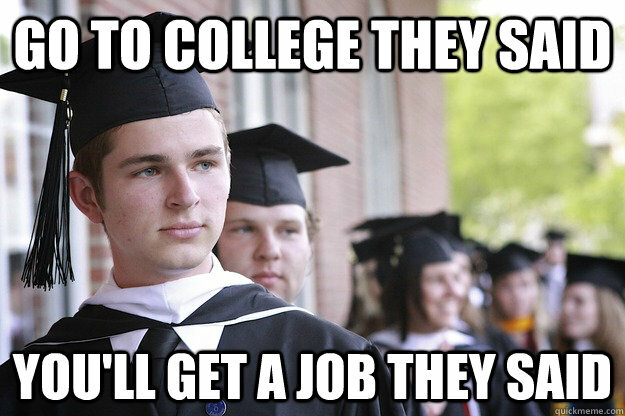 7) Assume your degree won’t actually get you a job. Congrats! Now you’re a college pro. P.S. Do your laundry and your reading. Eat real food. 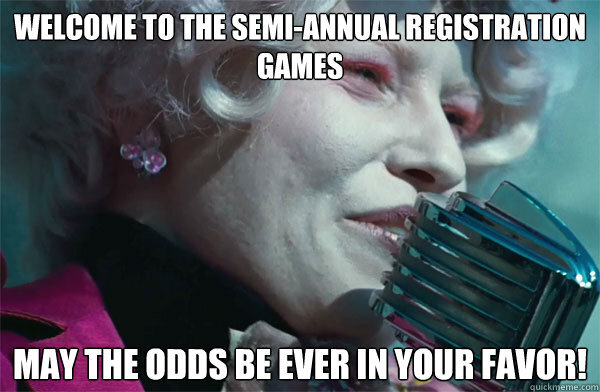 Don’t stress out too much about registration and graduation. For real. This post is part of my April A to Z Challenge. For more All Things College posts, click here. 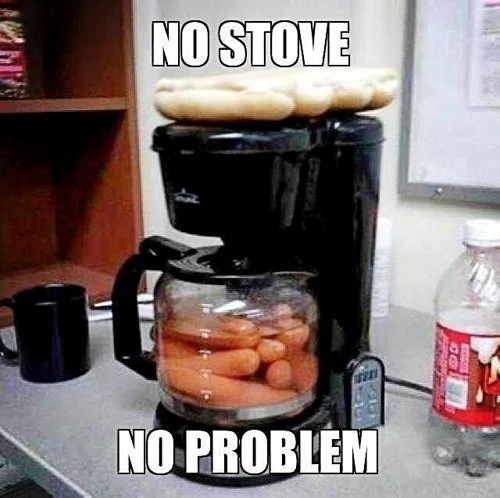 Oh, the inventive recipes and cooking methods of college kids. Ha! My favorite is how in our dorm the oven doesn’t shut all the way (it’s not quite deep or wide enough to actually put a pan in there LOL) so we’ve figured out how to adjust cooking times so that things actually cook. I had to look at the carrots things twice. LOL. My daughter always complains about the group projects. She’s the 99% member. Haha, this is so funny. 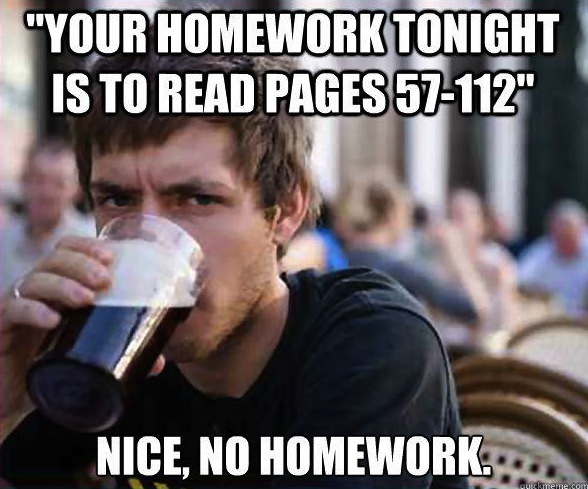 I never experienced real college life but my sister sure could relate to this. I’m proof you can survive! Those late-night exam crams were brutal, though. I remember having one of those dorm fridges with sodas and snack cakes in it. WAY too much junk food. We hardly drink soda or eat junk food type snacks but sweets are SO my weakness, especially when there’s dessert for DAYS at the dining hall. That Hangover analogy. It’s all true. And I now know what that movie was secretly about. Thank you for this. That’s the way I did it so many many years ago! Oh my gosh, #2 is SO true. I only read if I have a test or a paper on the subject. Or if I didn’t understand it in class! Classic! I do the reading when I feel like I need to (i.e. I didn’t understand it in class) + in Spanish literature classes because you literally have to. You never had a computer systems textbook? Incredible! Haha so funny! Especially the crappy food one – I ate so much crap when I was a student. Lucky I was still young enough to have a good metabolism – if I ate like that now I’d turn into a butterball! I don’t eat *terribly*, but I could also do much better. There’s definitely a difference in how I eat here vs. at home.